Our client relationships have grown across borders. MB&G has over 90 years of experience and leadership assisting private and public organizations realize their forest and timberland goals. Much of our work outside of the United States comes from referred work with existing clients. 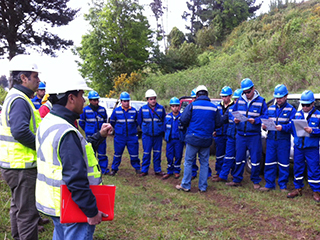 MB&G has successfully completed forestry projects in Brazil, Chile, and Russia. The scope of the work we perform internationally includes evaluation of potential timberland acquisitions, forest inventory verification, assistance in harvest scheduling, yield table development, remote sensing, and image segmentation. In most cases, our clients in the international market are from the private sector. As a full-service natural resource firm, we provide forest assessment, planning, and management services that include GIS, biometrics, appraisals, economics, and planning around the world.